Producer(s) : Folimage Studio S.A.R.L. WInner of many awards, My Little Planet is an 26 part animated series conceived in collaboration with environmental specialists and teachers to address biodiversity, demography and the place of man on the planet in an amusing story form. 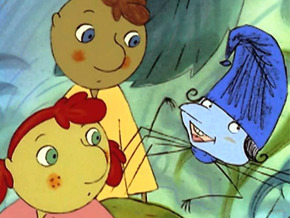 The series introduces young viewers to the natural and biological mysteries of our planet, each episode exploring an environmental theme such as atmospheric pollution, solar energy, population growth and photosynthesis.The authors were careful to use simple words and concrete images to explain environmental issues, sometimes a bit complex, but essential to understanding the functioning of life. The series was re-mastered in 2015.